STONEUNLIMITED is a Kitchen and Bath Remodeling Company in the metro Atlanta, GA area located in Alpharetta, GA. Our goal is to provide turnkey products and services for Kitchen & Bath to meet all your needs and make your projects hassle free. We are dedicated to a high level of customer satisfaction by providing quality services at a very affordable price. We pride ourselves in repeat customers. We offer affordable excellence for Kitchen and Bathroom renovation services without cutting corners. STONEUNLIMITED guarantees on schedule completion, cost-effective process from beginning to end, honesty, integrity and great value. *Authorized Dealer of Shaw Floors* We are a full service flooring store with a vast selection of flooring products from carpet, wood, lvt, engineered lvt(waterproof floor), tile, and more! 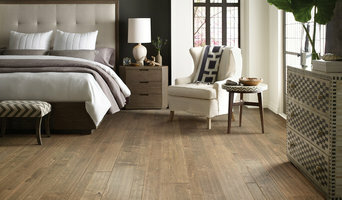 Our installers have more than 15 years of flooring experience minimum and are people we trust. The main installer, whom founded the company, has more than 25 years of experience. We are a true family owned and operated store and have been in business since 2003. The showroom is managed by the owner's sons whom have been raised in the business and know the products as well as technical information about the flooring. We focus on providing the excellent customer service, quality products, educating our consumers, and providing quality installations. Come check us out! A little bit about our company history: We started out with rolls in stock in a warehouse and eventually transformed into a retail store full or displays but also stuck to the concept of keeping carpet in stock. We offer the best of both worlds by still having carpet rolls to choose from as well as small carpet pieces for runners, rooms, rugs, or temporary use. The thing that has helped us grow over the years are our amazing customers who keep referring us time and time again. The majority of our business is from recommendations, and we are very thankful for the support that we have received from our community over the years. It's great to see customer with whom we've done business in the past. The majority of our customers remember the sons of Alan's flooring when they were small children and are happy with how far they have come. One is done with college, and the others are in the process of finishing. The oldest, whom graduated from The University of Georgia with an Accounting degree, runs the office along with his mother, and the others help when they get out of classes. The father continues to perform the majority of the installations, and the rest are performed by relatives that worked alongside the owner from the beginning of our endeavor. 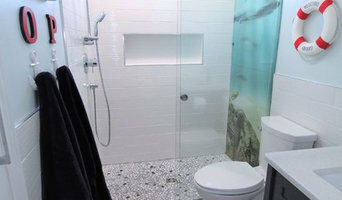 Kitchen and Bath Remodeling, design, project management and installation. At Showpiece Kitchen & Bath we strive to make the task of kitchen and bath remodeling simpler and more fun by taking the work off of the customer. Our priority is to make the most of every space and the most of every budget to satisfy our customers. With a combined 20 years of experience in interior design and business, we feel we can offer full service remodeling, design, and project management. Does your home match your personality? Does your home allow you to live the lifestyle you want and deserve? If the answer is no, we can help you to say YES! Chambless Hall Interiors, LLC works with home owners, builders and investors to create beautifully thought out and inspired interiors that match your personality and lifestyle you want to live. 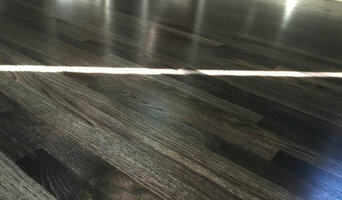 Quality Flooring Services in Atlanta at Affordable Prices! Kyle and Nancy Drake are a husband-and-wife team, working together full-time for their clients. 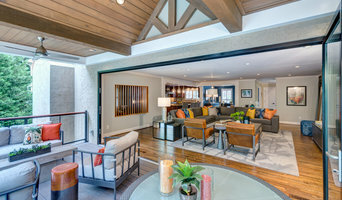 Nancy provides expert, classy, budget-conscious, design service which is included in each project they do, while Kyle and his construction team bring the plan to fruition. Their joy comes in seeing kitchens, bathrooms, and other home spaces transformed and seeing happy clients enjoying their favorite places at home. Based in Duluth, GA, Drake House operates efficiently and effectively in order to provide their customers with reasonable prices that fit within their budget without compromising on quality. 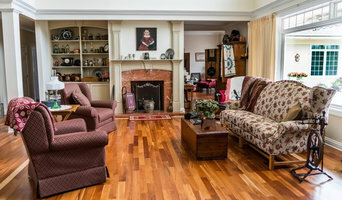 Augusta's Experts in Flooring, Lighting & Design - 3x Best of Houzz! We are ORIGINAL BUILDERS, we treat your project as though we were working on our own home. To us, you are not just a customer, you are the most valuable part of the process. It is always our goal to see each job through completely, from the initial concept all the way to the very last finishing touch. This is not just our motto - it is the foundation upon which we have built our business, our reputation, and our success. LT Home Designs, LLC, has been managing and executing quality renovations for over 20 years. We are a design build company building in the north metro Atlanta area since 1993. We specialize in interior and exterior residential and light commercial renovations and new construction. Our focus is creating the most inspirational environment through collaborative efforts in the design build process. We cultivate lasting relationships by creating dream spaces that last a lifetime. Ask about your ADA compliant experience today. TRL Construction & Design has built a solid reputation in the construction industry with over 10 years of experience. Over the years, we have been fortunate to work in the residential sectors. Our firm is dedicated to ensuring a seamless building process, including client consultation, design, project estimation, quality control, scheduling of trade contractors, acquisition of materials and safety compliance. In addition, we pride ourselves in our relationships with our clients, subcontractors and employees. Quality, safety, and integrity remain the cornerstones of our business. Personalized, dedicated service is our specialty, and no one else can match our commitment to it! Whatever your needs, we will do what is necessary to make your property as good as new. H.R.N. Construction and Restoration L.L.C. can assist you and your insurance company with the steps required before reconstruction begins. Protecting Your Property, H.R.N. Construction and Restoration L.L.C. can provide emergency services to protect your property from further damage. These services include board up, plumbing, heating and electric, as well as other services to secure your home and property. Remodeling, repairing and maintaining homes in Atlanta’s Intown neighborhoods is our specialty. Our owner is our salesperson and is a licensed Residential Contractor (GA RBQA006292). Since 1983, we have been serving Atlanta's Intown neighborhood homeowners with experienced craftsmen. We are owner operated, fully licensed/insured and credited with the Better Business Bureau (A+ rating). Free estimates. Weatherby Renovations is an experienced remodeling and renovations General Contractor serving the North Metro Atlanta regions. The premiere choice for home renovations including; remodeling and passionately involved in all aspects of home building for over 20 years. By using Weatherby Renovations as your Contractor, you have our commitment to quality craftsmanship, design and efficiency. We believe that your Remodel Project is not a "Jobsite", it is your home! We approach each project as an appreciative guest entering your home. Throughout the process, we never forget that relationships are just as important as the service provided. The necessary steps are always taken to keep your home clean, safe & secure. Our goal is to minimize the total length your project by precise scheduling, task management & execution. You have our commitment to quality, workmanship & professionalism. Our well-established process is based on a highly organized, methodical approach and constant communication. From start to finish, it is our responsibility to keep you informed, your project running smoothly, and to maintain a clean, safe, and courteous work environment in your home. We've been featured on HGTV many times! You can see the projects from the shows below. Looking forward to working with you on your home projects!